William Halsey, the son of a naval captain, was born in New Jersey, United States, on 30th October 1882. He attended the United States Naval Academy at Annapolis and graduated in 1904 (43/62) and joined the United States Navy. Halsey won the Navy Cross during the First World War while commanding destroyer patrol forces in the Atlantic. 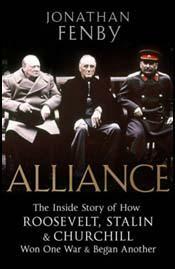 After the war he served as a naval attaché in Germany, Norway, Denmark and Sweden. Halsey, who learnt to fly in 1935, became one of the country's leading exponents of naval air power. He commanded the aircraft carrier Saratoga for two years before becoming head of the Pensacola Naval Air Station in 1937. The following year he was given the responsibility of training air squadrons for the new carriers, Enterprise and Yorktown. In June 1940 he was promoted to vice admiral. In January 1941, the Commander in Chief of the Japanese Combined Fleet, Admiral Isoruku Yamamoto began planning for a surprise attack on the US Navy. Yamamoto feared that he did not have the resources to win a long war against the United States. He therefore advocated a surprise attack that would destroy the US Fleet in one crushing blow. On Sunday, 7th December, 1941, 105 high-level bombers, 135 dive-bombers and 81 fighter aircraft attacked the the US Fleet at Pearl Harbor. In their first attack the Japanese sunk the Arizona, Oklahoma, West Virginia and California. The second attack, launched 45 minutes later, hampered by smoke, created less damage. Fortunately for Halsey he was at sea at the time of the Japanese attack. Serving under Admiral Chester Nimitz Halsey led the task force that attacked Japanese positions in the Gilbert Islands. In April 1943 he helped organized the air attacks on Tokyo. A nervous skin disease meant that Halsey missed the battle of Midway and Raymond Spruance led the task force that inflicted considerable damage on the Japanese Navy. Promoted to admiral in November, 1942, Halsey took control of naval operations during the Guadalcana campaign (12th-13th November, 1942) and sunk two Japanese battleships, two destroyers and six transport ships for the loss of two cruisers and four destroyers. The following year he took command of the South Pacific Force. Working closely with General Douglas MacArthur Halsey developed what became known as his island hopping tactics. This strategy involved amphibious landings on vulnerable islands, therefore bypassing Japanese troop concentrations on fortified islands. This had the advantage of avoiding frontal assaults and thus reducing the number of American casualties. In the Leyte Gulf campaign Halsey had the task of supporting the landing of troops and to destroy the main Japanese fleet. On 24th October 1944 Halsey fell into a Japanese trap when he headed north with all 64 ships to attack Admiral Jisaburo Ozawa . He left the San Bernardino Strait unprotected and only the actions of Vice-Admiral Thomas Kinkaid and the 7th Fleet prevented a military disaster. Halsey's fleet were twice hit by typhoons in December 1944 and June 1945 and this led to the loss of several ships and many lives. At the subsequent enquiry he was criticized for taking inappropriate action in both cases. At the end of the Pacific War Halsey's flagship, Missouri, was used for the signing of the Japanese surrender on 2nd September 1945. Three months later Halsey was promoted to admiral of the fleet. After retiring from the US Navy in April 1947, Halsey was a director of several large companies. 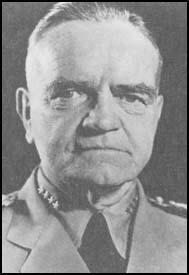 William Halsey died in Pasadina, California on 16th August 1959.